Reallocating a large chunk of radio spectrum bandwidth from broadcast television use to mobile broadband in the United States and Canada can create tens of billions of dollars of economic value, but will require the solution of more than a million large-scale graph coloring problems. Although each of these problems is NP-hard, the complications for individual broadcasters must be kept modest. Computer science and game theory have come together to enable an elegant, effective solution. Paul Robert Milgrom is an American economist. He is the Shirley and Leonard Ely Professor of Humanities and Sciences at Stanford University, a position he has held since 1987. Professor Milgrom is an expert in game theory, specifically auction theory and pricing strategies. 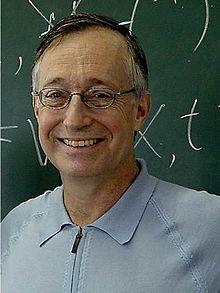 He is the co-creator of the no-trade theorem with Nancy Stokey. He is the co-founder of several companies, the most recent of which, Auctionomics, provides software and services that create efficient markets for complex commercial auctions and exchanges.